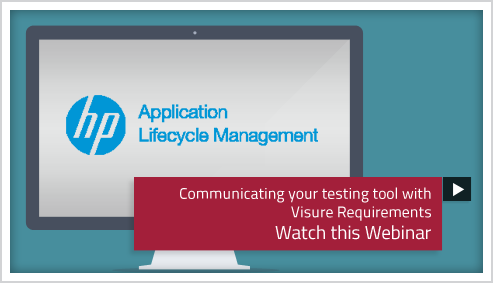 The integration between Visure Requirements and HP ALM and Quality Center allows integrating Requirements and Test Management processes, by synchronizing Requirements and Test Cases bidirectionally. Provides a seamless platform for Requirements and Testing. Fully customizable integration to support waterfall and agile processes. Synchronizes artifacts, attributes and relationships bidirectionally.